Make a pretty butterfly garland from old magazine pages. A simple and easy upcycling idea. It's Pinterest Challenge time again, when I join in with a group of bloggers and we each pick something from our Pinterest boards and actually give it a go. 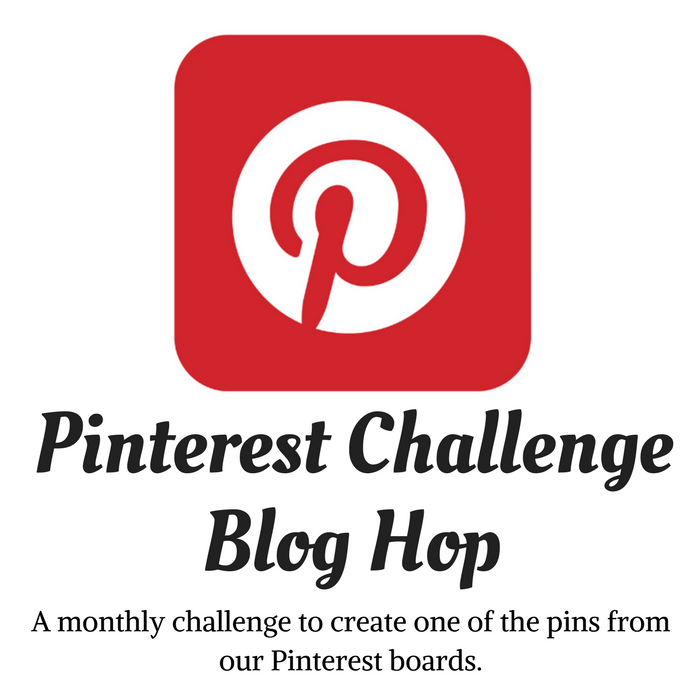 The Pinterest Challenge Blog Hop is hosted by My Pinterventures. This month I've been inspired by this 'Butterfly Craft from Magazine Pages' which I saw over at There's Just One Mommy. I love a good recycling or upcycling project so this is right up my street! These butterflies are made from whole magazine pages so are quite big. I decided to make some mini butterflies and turn them into a garland. I experimented with a few different sizes of paper to get a good size for a garland and also simplified the bottom wings a little from the original idea. Take one of the larger squares and fold it in half then concertina each half. Fold in half and pinch firmly in the middle. Take one of the smaller squares and round off the corners (you can do this on a pile of these at a time) then concertina that too. Then fold it in half and pinch as before. Place the 2 wings together, then wrap a length of embroidery thread round a few times then tie in a double knot at the top and trim to make little antennae. Make a load more! I made 10 in total. Starting at the bottom of the garland poke the needle through the wrapped thread at the bottom of a butterfly and make a stitch, leaving a long tail for tying the garland up. Then bring the thread up the side of the butterfly and make another stitch through the wrapped thread at the top - this is hard to describe, look at the photos, hopefully they will help! Originally I thought I would be able to sew the embroidery thread right through the butterflies, It turned out that was too tough for me to get a needle through. You can just tie the butterflies to a cord, thread or string but I found that when I tried that they turned in all different directions. You may like that so if the direction of your butterflies doesn't matter to you then just tie the at intervals to your thread, that's MUCH quicker and easier. If however, if like me, you DO want your butterflies all facing the same way, the 'stitch top and bottom' method described above is the only one I found that worked. Maybe a dob of glue on each one might hold them in place? Then all you need to do is hang your recycled magazine page butterfly garland somewhere and admire it's loveliness! This is the mirror in our daughter's room, if you want to see how to recreate the cross stitch mural you can see in the reflection on her wall you can find it here. I had a couple of spare butterflies from my garland so I’ve been using them as sweet little embellishments on gift bags.